With the minimalist styling of Scandinavian living continuing to inspire our interior spaces. 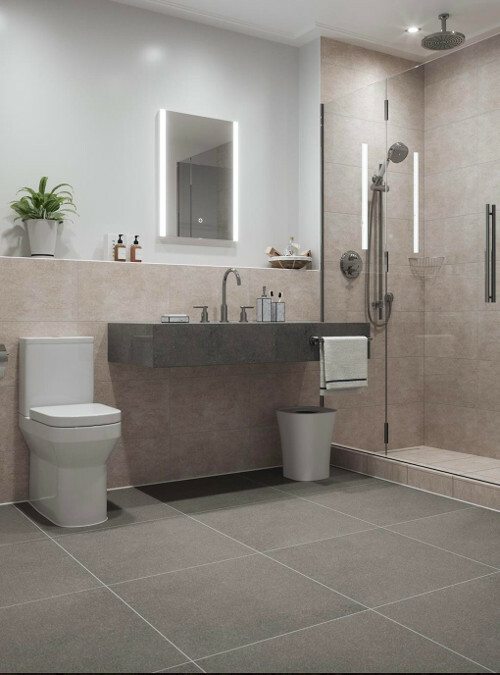 The new Fibreglass collection from British Ceramic Tile perfectly reflects this trend for understated, tactile design. Drawing inspiration from the real material, British Ceramic Tile’s new Fibreglass range can instantly transform any room into a warm, inviting space. It imitates the sharp, woven fibres in an intriguing surface pattern with a muted effect for a softer finish. A delicate balance of highlight and shadow, the range brings texture to walls and floors by replicating the intricate detailing of real fibreglass on a ceramic tile. The result is a pared back, hygge inspired, offering texture in abundance. Available in two shades; warm beige or contemporary grey, Fibreglass comes in a 30x50cm multiuse format, allowing it to be used on walls and floors for a seamless look. Easy to cut and install, the range is a fashionable yet practical option for any residential design project.